I feel naked and dangerously exposed on a bike if I'm not wearing a helmet. 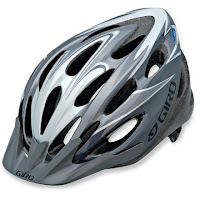 And there's a good reason why: 91 percent of bicyclists killed in 2008 weren't wearing one. Still need more reasons to put one on—or encourage others to do the same? Here are some articles, studies, and statistics that provide some compelling encouragement. New York Times; May 20, 2010Offers some good helmet-shopping advice and informs us that our aging brains shrink inside our skulls, providing more room for them to rattle around in the event of a head impact. Insurance Institute for Highway SafetyDetails bicycle fatalities since 1975. Site offers extensive information related to the circumstances of the fatalities, including helmet use, blood alcohol concentrations (26 percent of 2008 fatalities age 16 or older had BACs at or above 0.08 percent), riskiest months for fatalities (August - October), and breakdowns by age and gender (45-49-year-old males have the highest rate of bicycle deaths). Helmet Related StatisticsBicycle Helmet Safety InstitutePulls stats from a variety of sources to provide some interesting and diverse figures. National Highway and Transportation Safety AdministrationA similar statistical overview of cycling fatalities, this comprehensive round-up also breaks down incidents by state. A good overview of helmet fit, styles, and features.